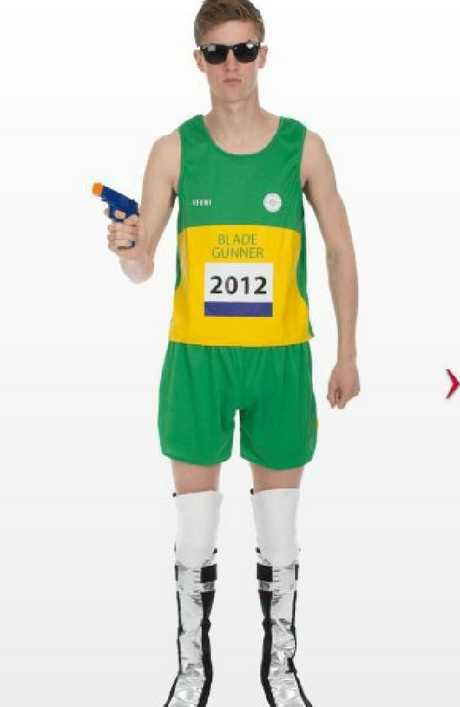 AN online joke shop has sparked outrage for selling an Oscar Pistorius Halloween costume accessorised with a toy gun. The "Blade Gunner" outfit, which proudly promises to "cause controversy", is on sale for £24.99 ($A46) on British website, Jokers' Masquerade. It consists of a green sleeveless shirt, shorts and boot covers to represent the convicted killer's blades. Advertising the tasteless costume, the website said: "Cause lots of controversy at your next party with our Adult Blade Runner Gunner Stag Costume. This eye catching, head turning costume idea is ideal for any event, whether it be Halloween or just a shindig at a friends. "The costume includes black and silver boot covers that come up to just under the knee, giving the impression that you have metal running blades instead of legs, just like that infamous Paralympic runner!" 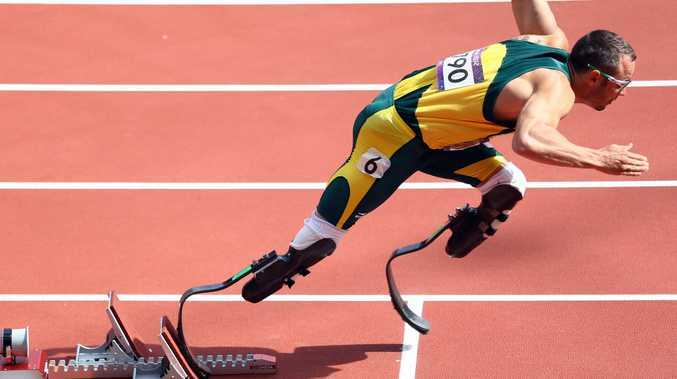 The Oscar Pistorius Halloween costume has raised eyebrows. But the costume has been slammed by a charity representing murder victims, who accused the online retailer of "making entertainment out of murder". Rose Dixon, chief executive of the Support After Murder and Manslaughter, a charity which supports the families of those killed, told The Sun: "This is incredibly insensitive and highly offensive, especially to bereaved families. "Unfortunately there's too much of this happening and it sickens me. These stores are turning murder into entertainment - and that's so painful for grieving families. To lose a loved one through murder is most certainly not entertaining." Those who purchase the Blade Gunner fancy dress are also urged to buy a "Tommy Gun Accessory" for an additional £4.99 ($A9). 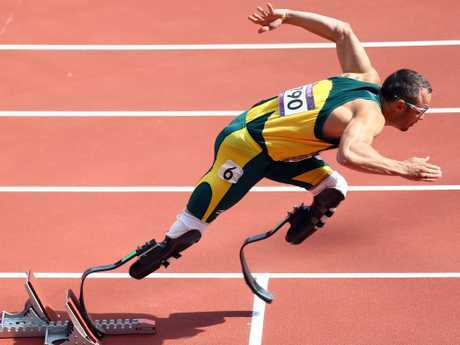 Pistorius earned worldwide fame after reaching the semi-finals of the 200m sprint in the 2012 Paralympics. The following year, on Valentine's Day, the double amputee shot and killed his model girlfriend Reeva Steenkamp at his home in Pretoria, South Africa. Reeva, 29, a model and law graduate, was locked inside a toilet when Pistorius fired four shots from a handgun through the bathroom door. 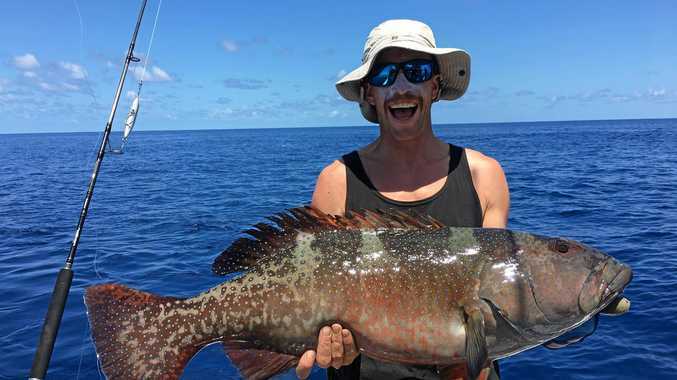 During his trial, the athlete maintained he thought he was shooting an intruder and denied being jealous or aggressive during his relationship. He was found guilty of murder and was sentenced to six years in prison in 2016. The costume - also advertised as a stag do get-up - comes after Amazon removed an identical Pistorius outfit last Halloween following a backlash from disgusted customers. This story was originally in The Sun and has been republished with permission.